To select and edit multiple products at once, press the Shift key + click! Got a big product launch? Set ‘em from Hidden or Coming Soon to Active in one go. Nothing left in stock? Adjust from Active to Sold Out in seconds. 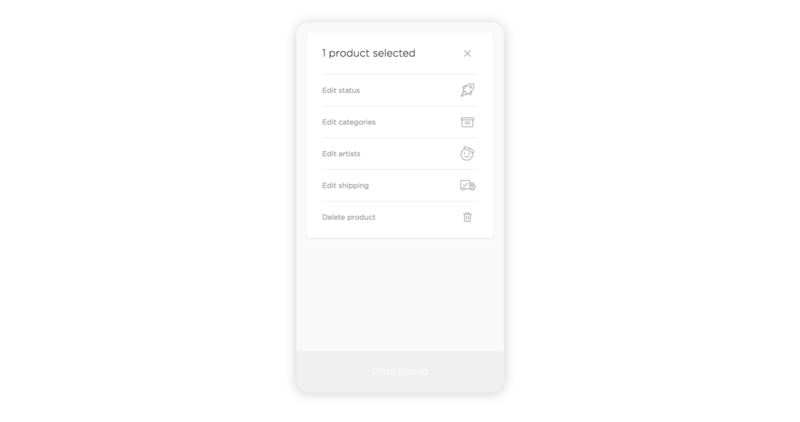 Sift and sort your products into new or existing categories all from one spot. Add and update shipping countries and costs any time your rates change without having to repeat the process over for individual products. Removing old listings has never been easier. Choose the action menu in the top right. Click or tap on the products you want to edit. Press Shift + click to select multiple products at once. Click or tap on the bulk edit action menu (now highlighted green). Choose the action you’d like to take from the bulk edit menu. 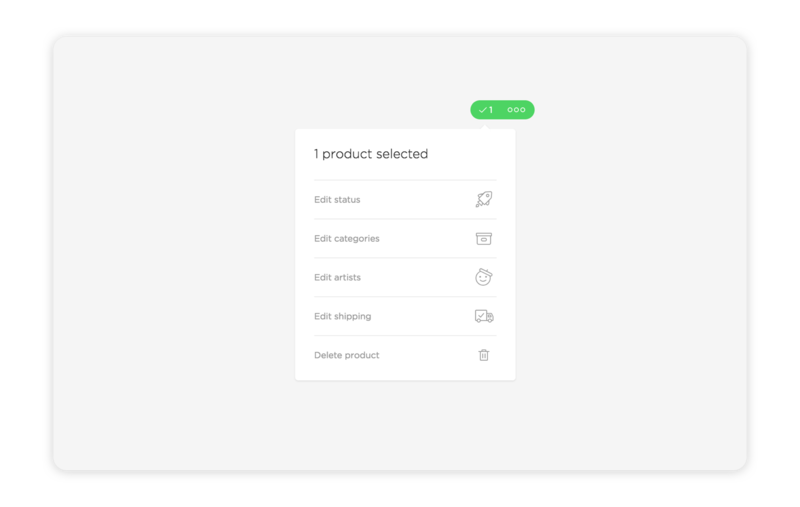 You can edit product statuses, categories, shipping costs, or delete products. Choose Save when you’re finished, or Close Editing at the bottom to leave without saving. Sorry, right now this can only be done on the web.